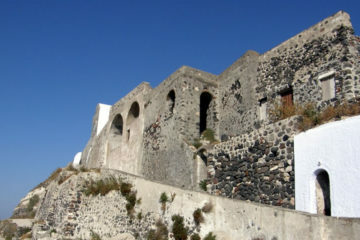 The Oia’s Castle, called Kasteli of Agios Nikolaos dates back to 1480. 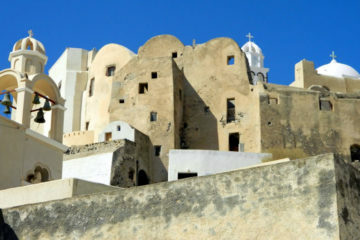 It had a tower (Goulas) on which the guards watched the sea and gave the alarm in case of pirates. The two and three-storey houses were close to each other, forming an external wall, while the narrow streets resembled a labyrinth. 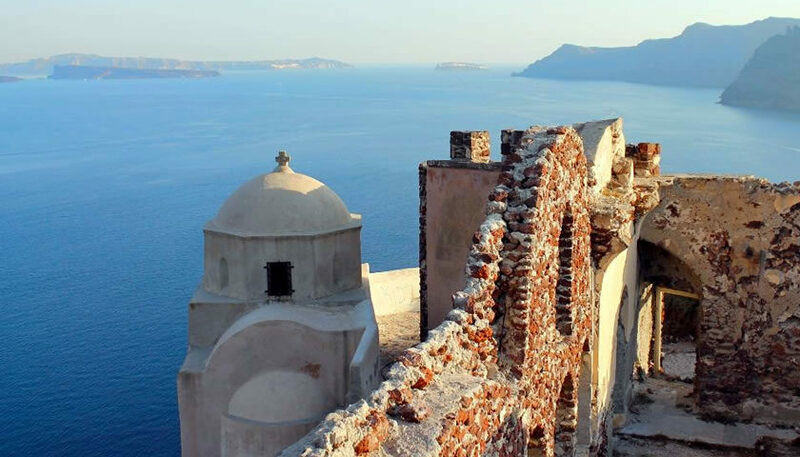 In the earthquake of 1956 a big part of the traditional settlement tumbled into the sea. 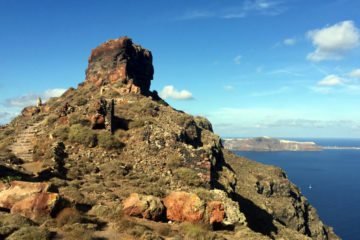 Today, the site of Kasteli is a very popular place for watching the sunset.